Everton Football Club are an English football club based in Liverpool, Merseyside, playing in the Premier League. 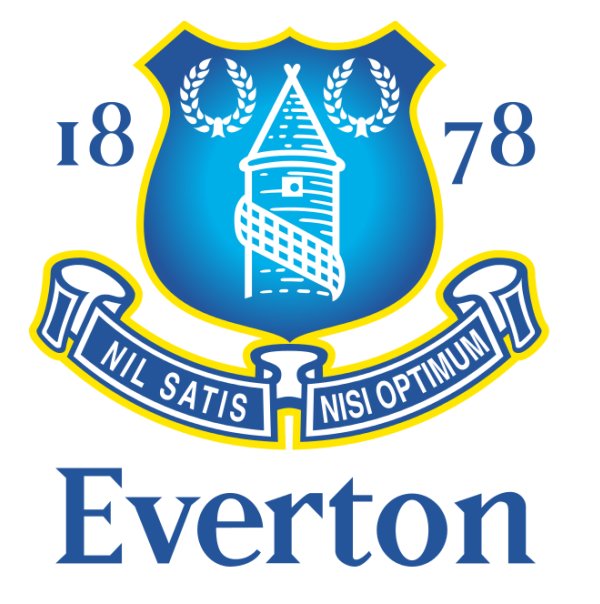 The above is the current logo of Everton, which entered use on July 4, 2014. The font used for the logo is very similar to FF Angie DemiBold. FF Angie is a serif font family of 11 weights by Jean François Porchez, suitable for book text, editorial and publishing purposes. The typeface won the Brattinga prize at the 1990 Morisawa awards in Japan. For the logo used between 2000 and 2013, it features a wedged serif font named Matrix II Bold by Zuzana Licko.